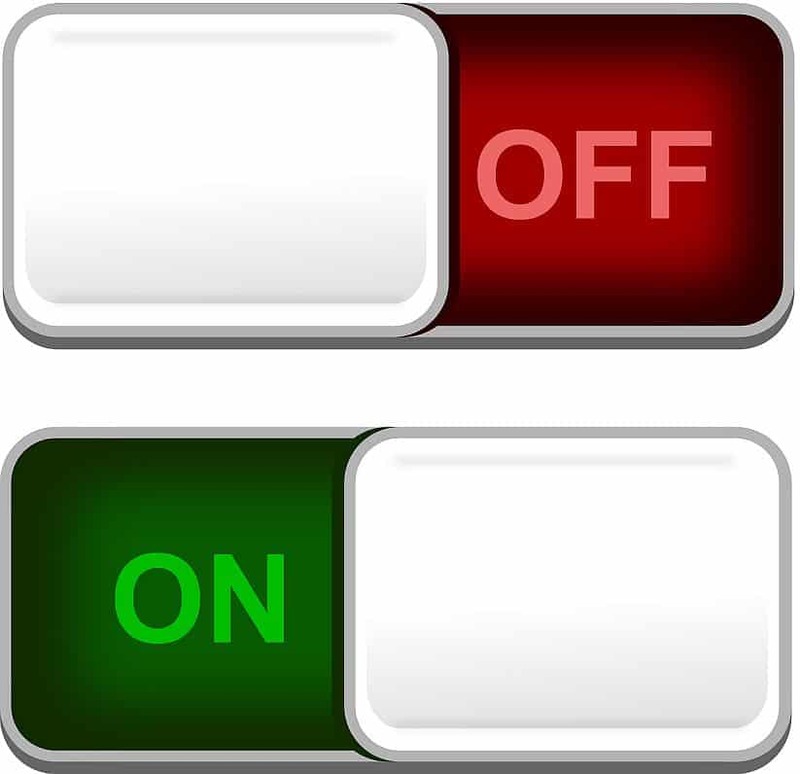 To be as safe as possible online, you should use a VPN kill switch. In this post, we examine the best providers that have a VPN kill switch. These are the best VPN services with a kill switch. A good VPN will hide your IP address and encrypt your traffic, protecting you and your information in the process. But even the best VPN services go down on occasion. And when that happens - even if it is just for a traction of a second - there’s no longer a protective layer between you and the Internet. Suddenly, your ISP can see your traffic, snoops monitoring Bittorrent swarms can see your true IP address, and what you download is exposed. The entire reason you use a VPN in the first place is to keep exactly those things from happening. So what’s a VPN user to do? If even the best VPNs suffer from occasional blips leaving you potentially vulnerable, is there any way to prevent them? What’s a VPN Kill Switch? Which Providers Have a VPN Kill Switch? Thankfully, many VPNs now include built-in kill switches. But what do they do exactly? In short, when your VPN goes down for any reason – whether there’s something wrong on your end or your provider’s end – your computer or device will have its connection to the Internet cut off; literally killed. That means that instead of your traffic being exposed to the Internet, it shuts down entirely, keeping your IP address from being exposed and your traffic secure. And this happens automatically, without your input, preventing against even any momentary VPN lapses. In our opinion EVERYONE (see the 'Nobody's Business' heading next). A more nuanced answer would be: those who most want to protect the privacy of what they do and download and could be exposed by a VPN outage, no matter how brief. OK, so who’s that? While all VPN users are susceptible to outages, there are certain kinds of users who are particularly vulnerable. That includes content downloaders which generally means those engaged in torrent file-sharing, online streaming and Usenet downloading. Even leaving aside the more specific examples below, why the heck should your ISP or anyone else know what you are up to online?! Simply out of principle, you may want to ensure that your IP address is masked and your connection safely encrypted at all times. Online tracking, monitoring ​& surveillance are so pervasive that everyone now has good reason to want to use a VPN and make sure it is "always on" thanks to having a good kill switch. Content downloaders are often downloading large amounts of data at a time. This puts added load or even strain on a VPN connection and can make it susceptible to a blip. That’s true even of the best VPNs. Plus, torrent file-sharing, online streaming and Usenet content can be controversial and could potentially get you in trouble. Why even take the chance? For example, if you’re torrenting and your VPN goes down, even for a second, every other member of the "swarm" will be able to see your IP address (that’s potentially dozens, hundreds, or even thousands of users). Among the swarm, you can count on plenty of snoops monitoring torrent traffic and recording the IP addresses of downloaders like you. Many free online streaming sites are dodgy to say the least and you never know who is running them or if they've been compromised. All the more reason to use a VPN with a kill switch and make sure they never get to see your true IP address. Usenet downloading relies on a secure, private connection with the Usenet provider making it much safer, but your ISP can still see that you are downloading lots of data from Usenet and will often punish you by slowing down (throttling or shaping) your connection. Using a VPN while downloading from Usenet prevents your ISP from detecting you are accessing newsgroups and throttling your connection because of it. And even if you are not intentionally seeking out to download risky content, you may download something controversial by accident that could embarrass you or put you in harm's way. The Internet is still the Wild West and it is just too easy to download something that is misleading or mis-labelled or for you to be tricked into doing so by trolls, malware or bots. Be wary of any claims by VPN providers of 100% uptime. That’s simply not possible over the long-term in the real world. And even if a VPN provider has enjoyed 100% uptime for weeks or even months, that’s no guarantee it won’t suffer a future outage, even if for just a momentary blip. Protecting your privacy in general, shielding yourself while downloading risky content, whether intentional or by accident, and temporary technical blips: these are just some of the reasons why it’s important for you to choose a provider with a VPN kill switch. When searching for the best VPN with a kill switch, keep in mind that providers use different names for the technology, such as “network lock” or "tripwire". Plus, scrolling through dozens of product pages comparing features can get quickly tedious. But we’re going to make it easy for you. We’ve compiled a list of 5 awesome VPNs with built-in kill switches. No matter what your needs and budget are, you’ll find the perfect option for you here. ExpressVPN’s kill switch will give you the confidence of knowing your IP address is protected and always under wraps. And they even offer the longest money-back guarantee to prove it: 30 days, yes thirty. We also like ExpressVPN’s combination of great speeds and its 99.9% uptime. ExpressVPN is the #1 best VPN service with a kill switch. Are you on a budget? Then you’ll want to listen up, because this next VPN can save you money without sacrificing features. Private Internet Access – or PIA, for short – offers memberships for as low as $2.91 per month, while still managing to provide one of the best VPNs on the market. That includes thousands of servers across dozens of different counties, support for 5 devices per subscription, and great privacy, like strong encryption and proven zero-logging claims. Sound good? Plus, Cogipas readers enjoy an exclusive additional discount off Private Internet Access. 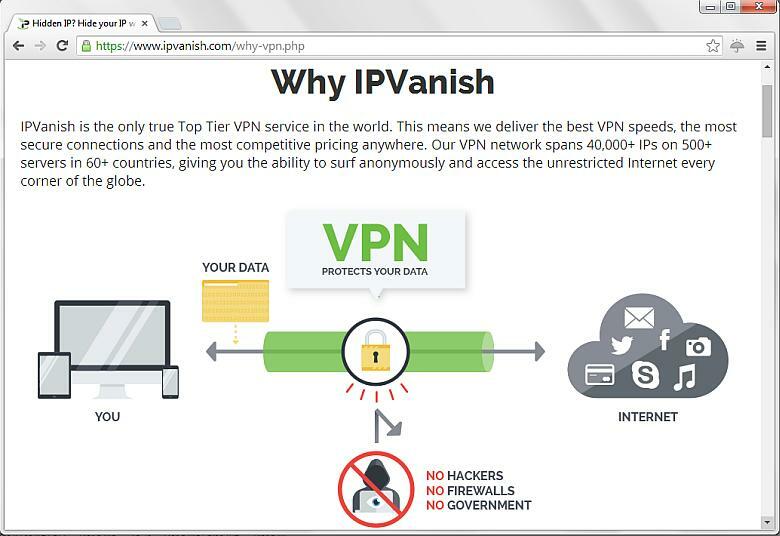 IPVanish offers a built-in kill switch, which will ensure your IP address is always protected. IPVanish provides that, along with unlimited traffic and bandwidth, servers in 60+ countries and a free SOCK5 proxy. IPVanish even offers a 7-day money back guarantee. Now offering Cogipas readers an additional 20%, there’s never been a better time to subscribe. Privacy fiends should pay attention because not only does NordVPN offer a built-in kill switch, it’s also one of our favorite VPNs based outside the USA. Plus, NordVPN is easy on the wallet, with subscriptions available for as low as $2.75 per month. Yet you’re still getting some of the best privacy in the industry, including features like ‘Onion Router over VPN’ and ’Double Encryption’. Plus, they have VPN servers in 62 different countries. If you’re looking for top-notch security at an affordable price, NordVPN just may be the pick for you. Jump on their current discount while you still can. If you’re new to kill switches (and VPNs in general) than you’ll be pleased to hear that PureVPN comes equipped with a user-friendly interface that’s a breeze to figure out. In fact, we recently named them our “Best VPN for Newbies”. But that doesn’t mean it’s any less rich in feature than the other names on our list. With servers in a whopping 140 countries, PureVPN gives you endless options for streaming and bypassing geo-blocking. Beginners will also love PureVPN’s prices, which start very low. Who knows when your VPN might suffer a hiccup and leave your IP address and Internet traffic exposed to heavy-handed and well-funded snoops? And who knows what the consequences will be? Like most things, prevention and being safe is better than being sorry. That means signing up for a quality VPN with a built-in kill switch. It’ll be there to save the day when you need it – even if you don’t see it coming. Get a VPN kill switch today and get protected – before it’s too late! 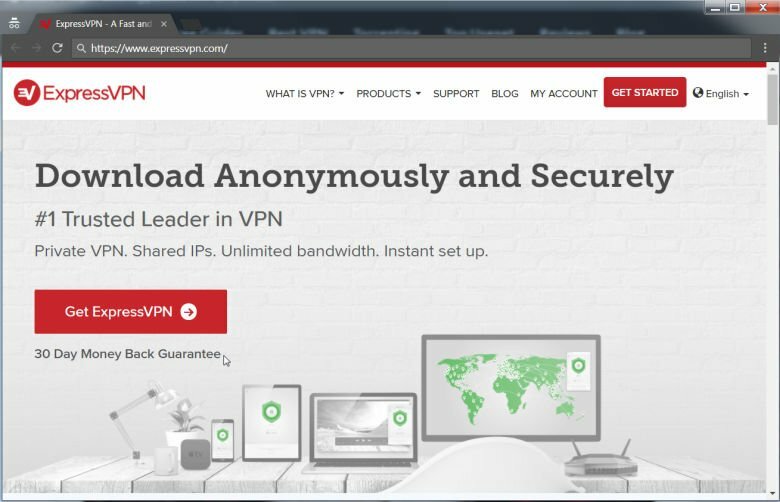 Home » VPN » Best VPN for ... » VPN Kill Switch: Which VPN Services are Best?